Sony CEO Kaz Hirai opened today’s event by thanking Sony employees for their work in the wake of the recent attacks against the company. He also thanked consumers who supported the efforts to release “The Interview” in the face of threats against theaters. 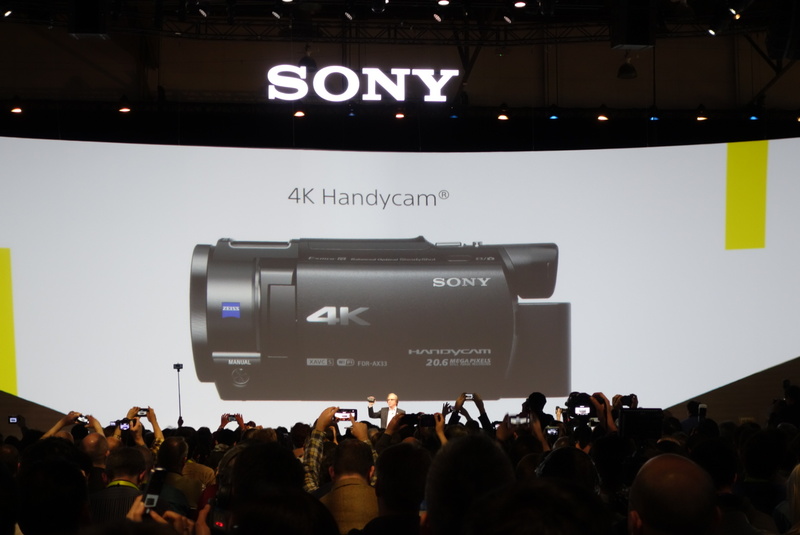 It wasn’t all just super-skinny TV sets at the Sony press conference that has been closing out Press Day at International CES for years. 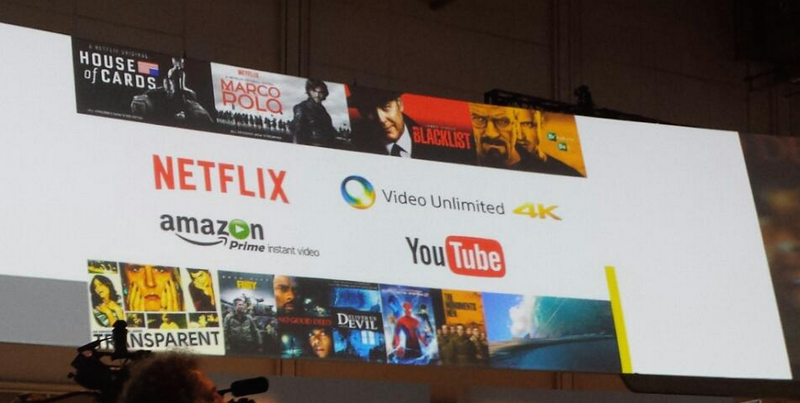 The company makes a lot of stuff, and it highlighted a wide range of new products for the coming year and beyond. 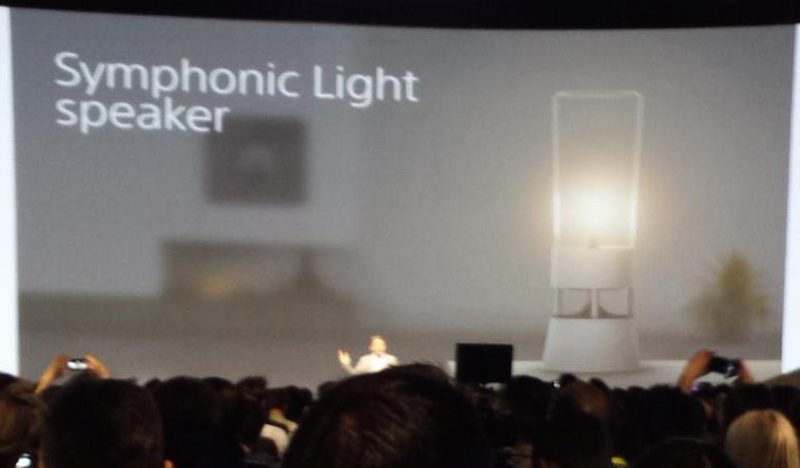 One item that immediately drew our interest — though we were divided on our personal opinions about its design — was the Symphonic Light Speaker, which is currently just a prototype in the Sony UX Lab display. 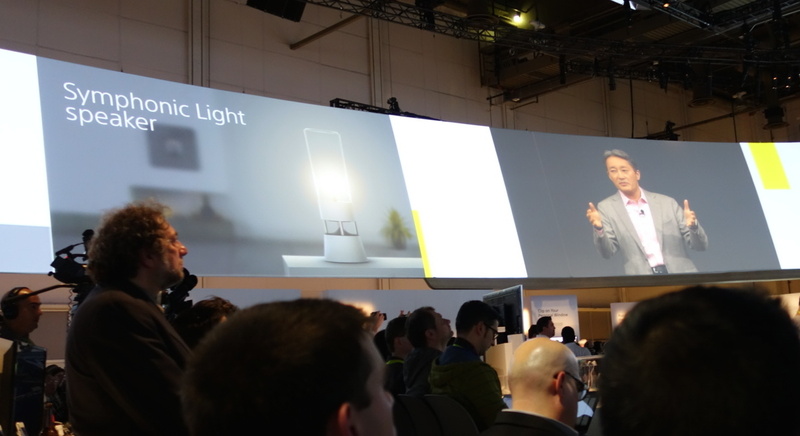 But essentially, it combines two products that have been growing in popularity among web-connected household devices — wireless audio and lighting. We’re going to get more time with the prototype when we tour the UX setup tomorrow, but it makes some sense to combine a music source with a lighting source as the two are often adjusted to control the mood of the room. 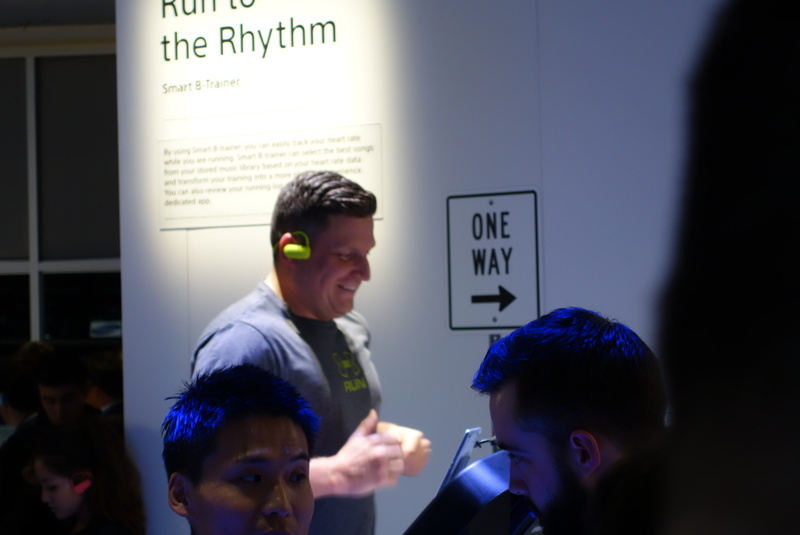 Another item that might of interest to consumers on the go who don’t like to be weighed down by multiple devices is the Smart B-Trainer, another prototype that combines everything you’d need for a smart jog — sensors and music — into one headset, eliminating the need for having to bring along a secondary device like a smartphone or smartwatch. 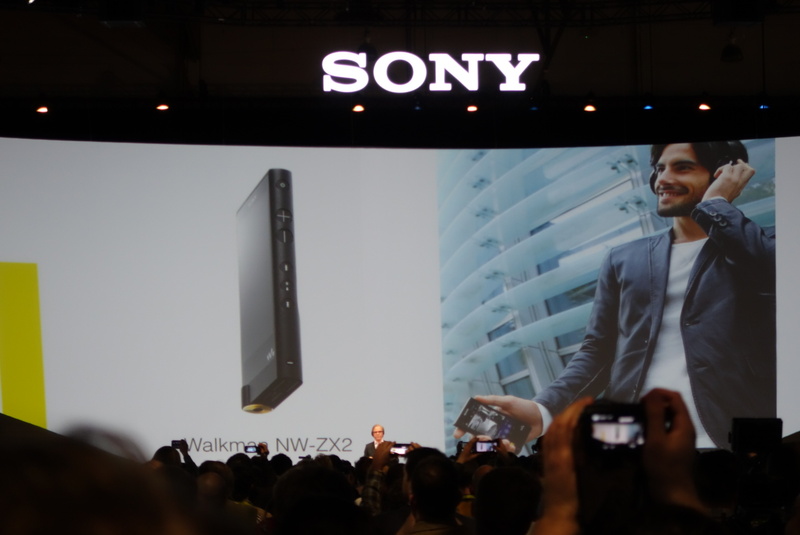 The Walkman NW-ZX2 supports digital music files up to 192 kHz/24 bit and compatible file formats are MP3, WMA, AAC, FLAC, AIFF, WAV and ALAC including DSD. 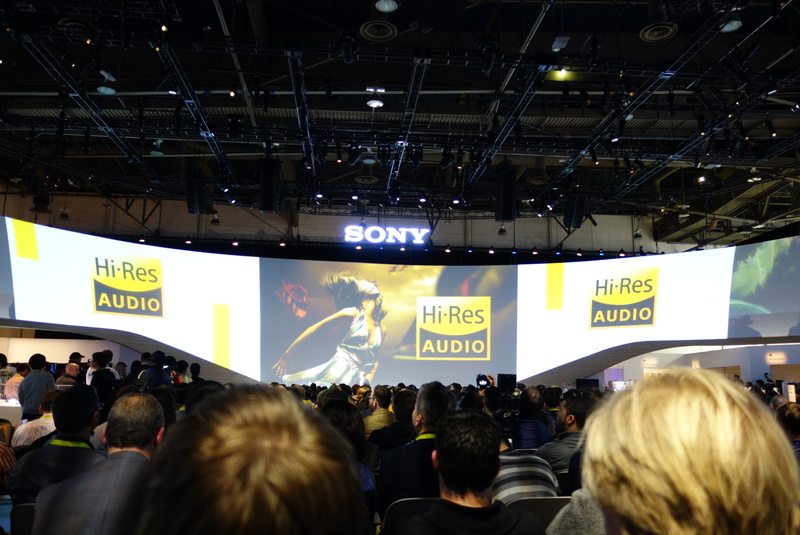 It also uses DSEE HX technology that upscales non-hi-res audio from streaming sources. 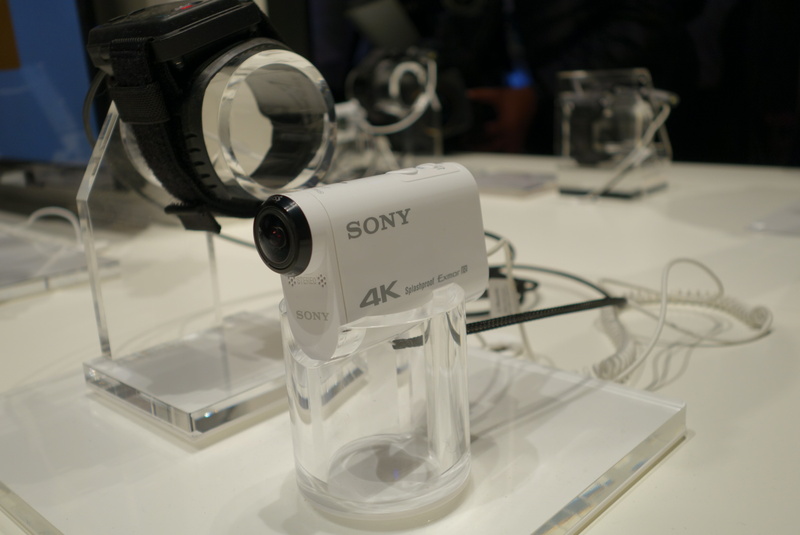 And because Hi-Res Audio takes up more storage space than the lower-res files many of us are used to, the device comes with 128GB of built-in memory, and a micro SD card slot. 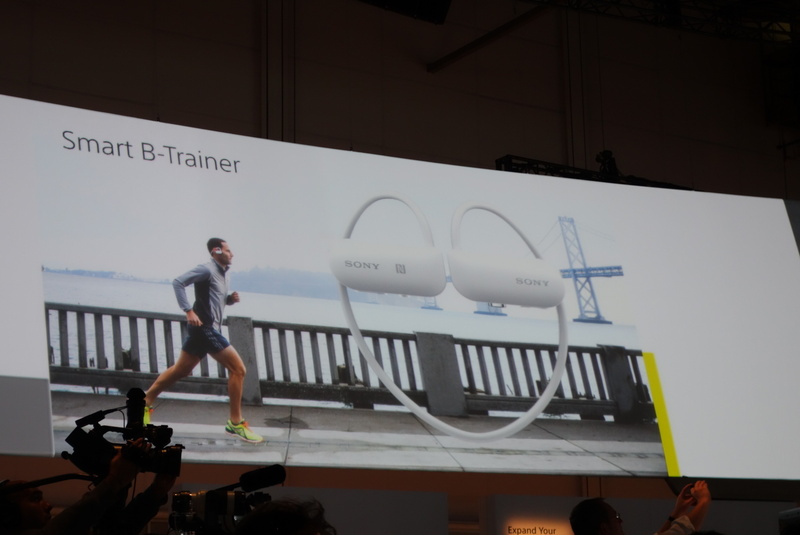 Sony claims that the Walkman’s Lithium-ion battery provides up to 60 hours of music playback per charge. 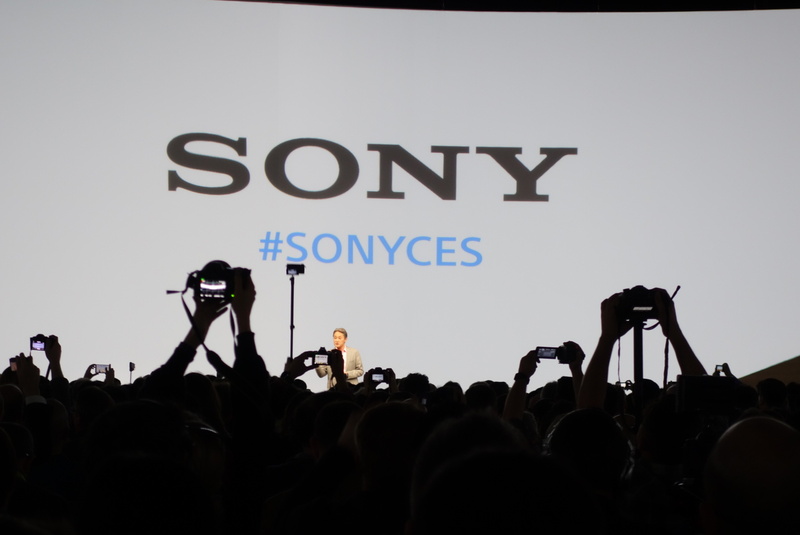 We’ll be bringing you more from Sony and lots of other companies after CES officially opens in the morning.